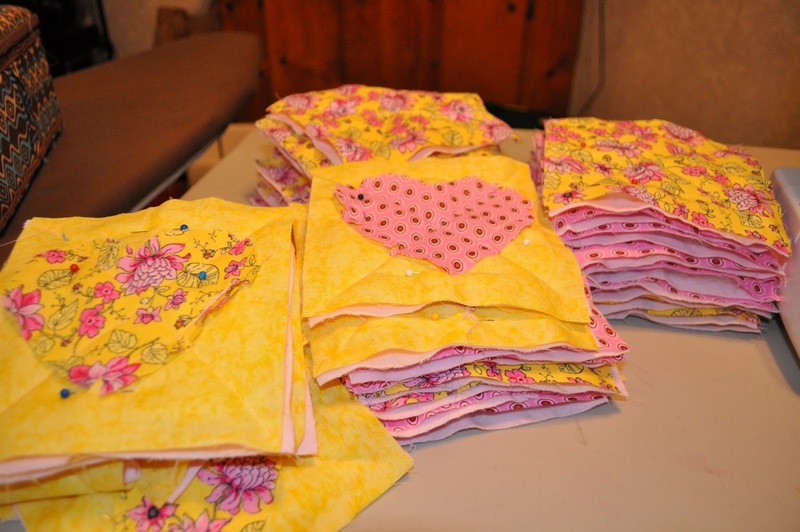 After your squares are pinned together its now time to sew the blocks. You will want to quilt a x across the quilt to hold your 2 layers of material and batting together. When doing blocks like this, a walking foot is very helpful to keep the bottom and top of block moving together. When sewing you make a chain it will save you alot of time and effort and a little thread not cutting and starting over and over. On the left you can see my string of blocks making a cute pile on the floor. Sew the first half of all the X's and then sew the second half of the X. 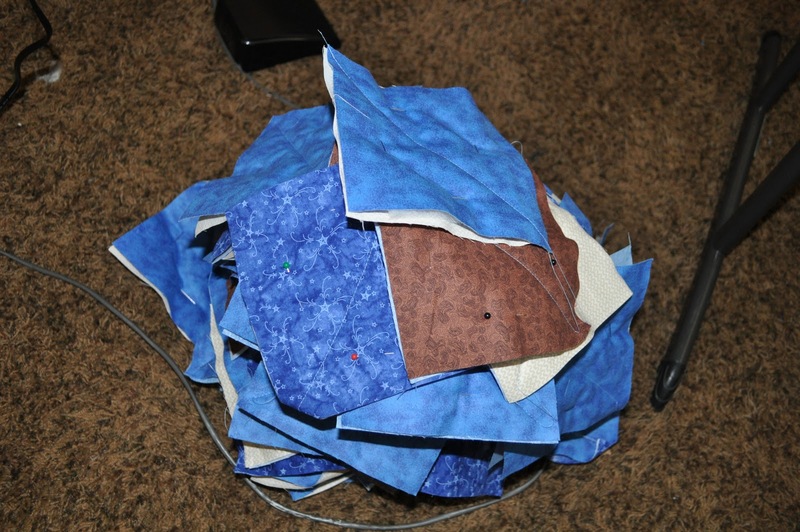 Once you get all of this sewing done you are ready for the next step, sorting and organizing the pattern you want for your quilt. Next time we will talk about sewing the rows together into a finalized quilt. This process can go quickly or slow depending on the size and number of the squares that you are putting together. Now to sew the rows together. Or as Jared my youngest would say "make conveyer belts". This is his favorite part of the process. I row by row sew the blocks together and then sew the rows one to another. this is a long process, but quite fun. The bigest issue I find is the weight of the blanket pulling away as I try to sew it. I have found that geting more of the blanket on the table and less hanging off the table to help in the sewing. Any way happy sewing all. Hi Richard. 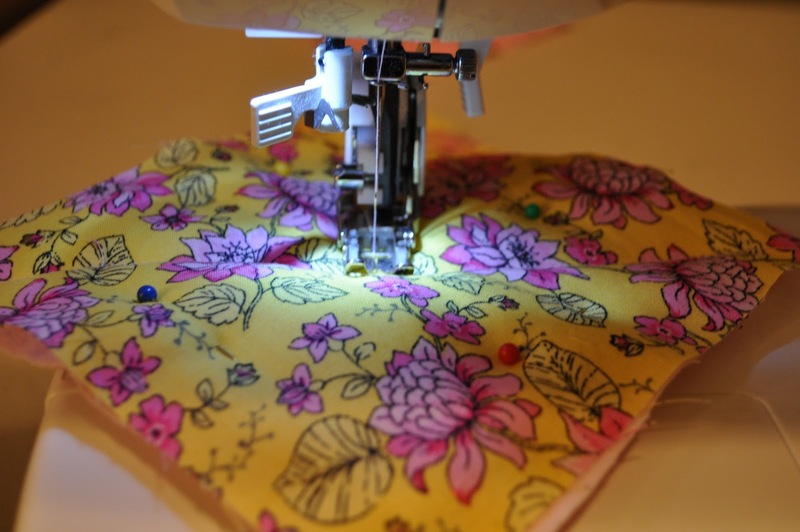 Welcome to the wonderful world of quilting. The trick to keeping the left side of your quilt on the table is extending the table. Some folks put another table or chair to hold the quilt, others position the table so the left hand side is butted up to a wall. My table is butted up to a window seat where the bulk of the quilt lays.